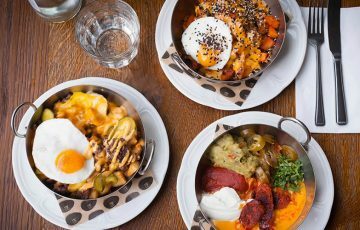 With restaurants serving burgers, breakfasts, tacos and pizza until the early hours, London’s late-night dining options go far beyond fast food. If you’re in the market for a midnight feast, here are 12 restaurants to keep in mind. Pizza East – For a late night feast in Shoreditch, you can always rely on Pizza East. The kitchen is open until 1am on Friday and Saturday and ticks all the comfort food boxes, whether you fancy pizza, lasagne, or their famous lamb meatballs. Bar Italia – This family-run café has been at the heart of Soho for over 60 years and it’s still going strong. It’s open until 5am every day except Sunday, so you can pop in for coffee, grab a panini, and soak up the late-night buzz. 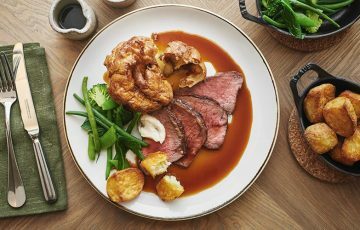 VQ – Open 24 hours a day, VQ now has four London restaurants offering late-night salvation in the form of pancakes, cheeseburgers, sticky ribs, and lots more besides. We’re big fans of their milkshakes and mocktails. This weekend, thousands of people will descend on the West End to celebrate Pride in London. If you’re planning to watch the parade or party the night away, let’s face it – you’re going to get hungry. 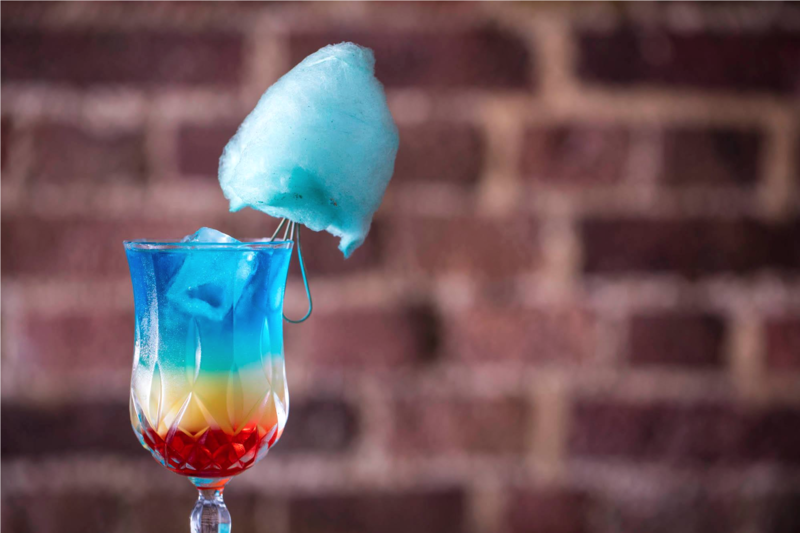 Plan ahead and book a restaurant in Soho or check out these Pride-inspired dishes and drinks. 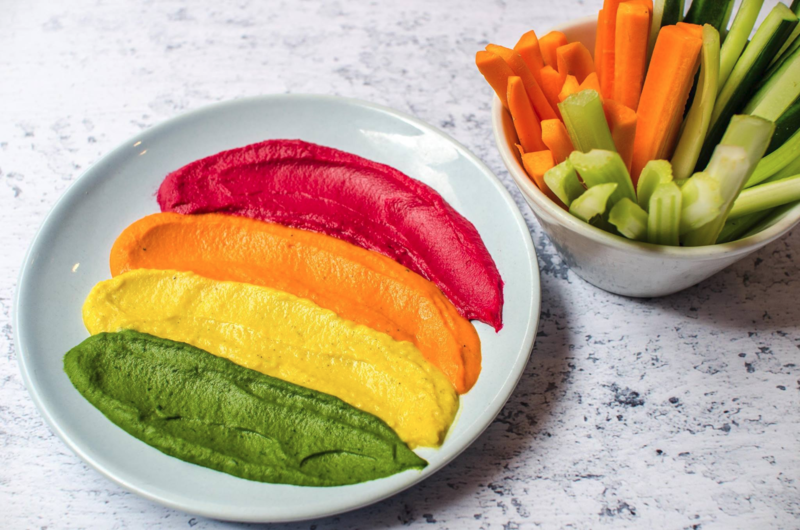 From glittery hot dogs to rainbow houmous, there’s something for everyone to get stuck into. Escape the busy parade route and head to Balls & Company, a meatball restaurant on Greek Street. 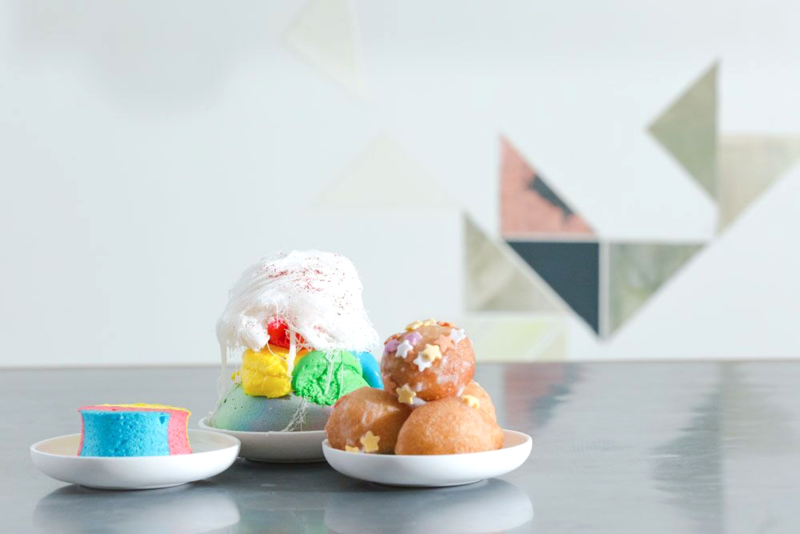 They’ve created a special trio of desserts for Pride – a Psychedelic Pavlova, Whiskey Rainbow Marshmallow, and Tongue Twister Rainbow Doughnuts. The desserts will be on sale outside the restaurant this Saturday. 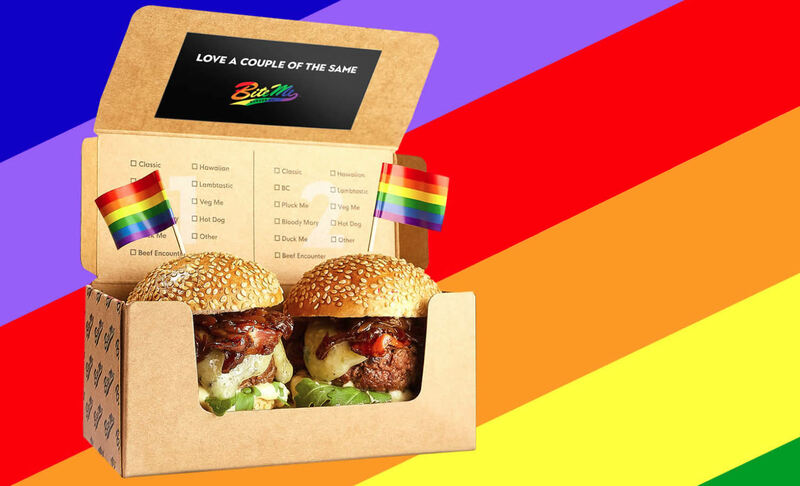 Over at Bite Me Burger Co, they’re celebrating with Pride Duos – a set of two mini burgers that come as an identical pair. For just £8, you’ll get two mini-burgers of aged beef, gorgonzola, truffle aioli, rocket, pancetta and balsamic onions. Treat a mate or scoff them both yourself – the choice is yours. At Oslo, a bar-restaurant and music venue in Hackney, they’re serving a fresh Rainbow Salad all weekend long. It’s pretty much your five-a-day on a plate, with cherry tomatoes, peppers, carrot, feta, cucumber, spinach, red cabbage, and a homemade basil oil dressing. 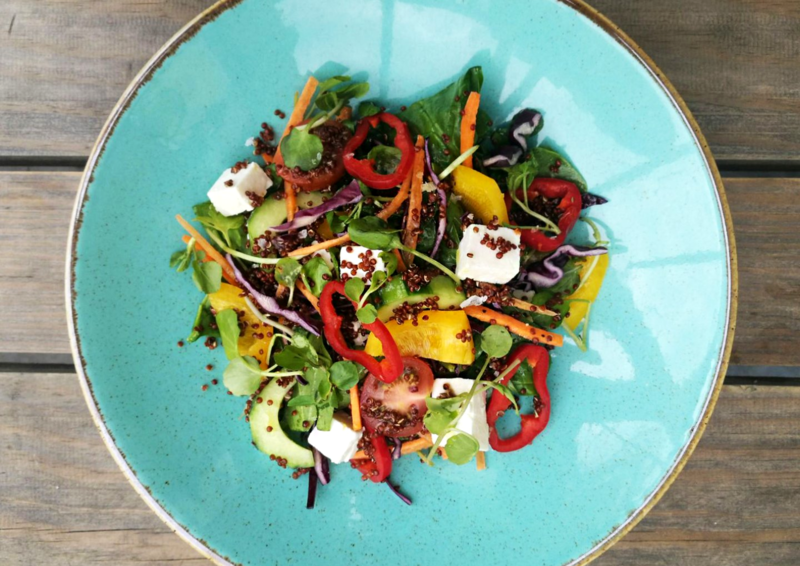 As an added bonus, £1 from every salad sold will be donated to UKLGIG, a charity supporting asylum-seeking individuals from the LGBTQ community. 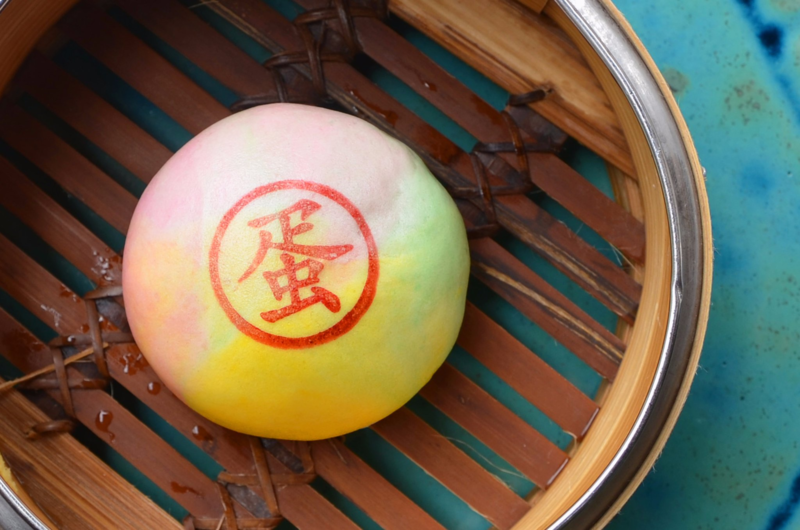 The Cantonese steamed bun café on Greek Street is serving up a limited edition rainbow custard bao this Saturday. You’ll need to be quick – there are only 250 up for grabs – but if you miss out, their regular sweet and savoury buns are just as delicious. You can’t improve on perfection, but you can roll it in glitter. 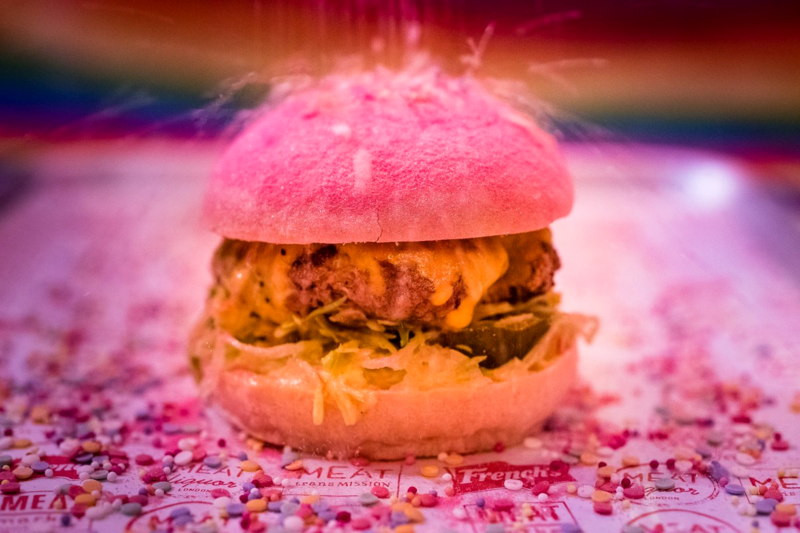 MEATliquor are giving their iconic Dead Hippie burger a new look for Pride, with a steamed pink bun and a generous scattering of pink glitter. 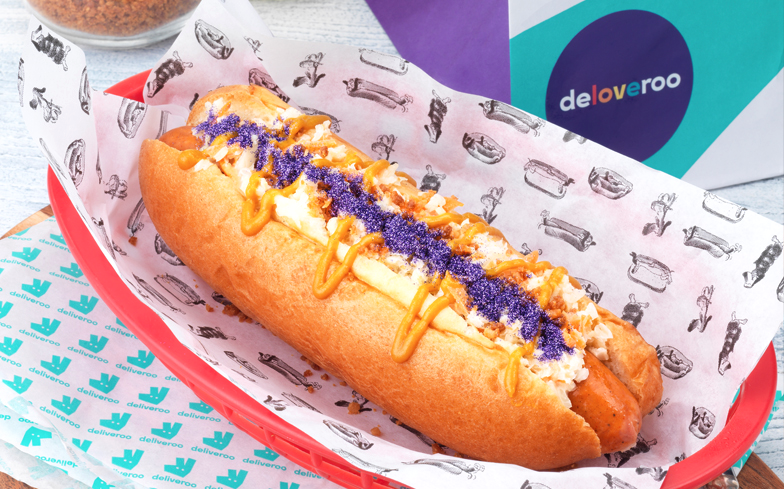 You can order it on Saturday via Deliveroo or catch them at Trafalgar Square where there will be live music, bars and more. If you’re out and about in Soho this weekend, you can use the OpenTable app to find and book restaurants nearby. 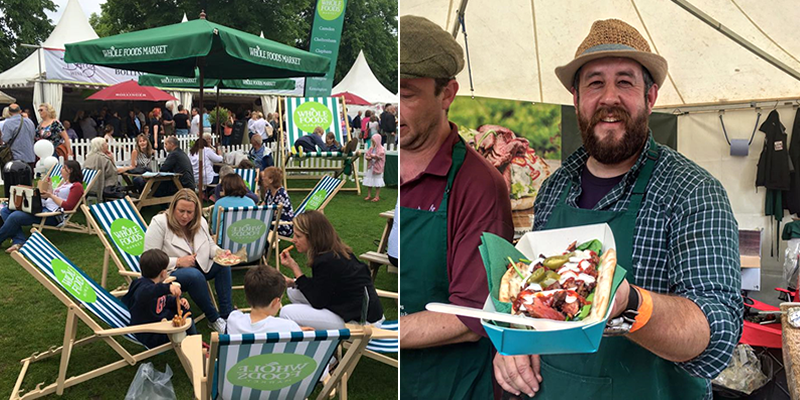 There are some fantastic food festivals to visit this month, so get your tickets sorted and cross your fingers for sunshine! We’ve rounded up eight of the best but you can find lots more using this handy Food Festival Finder. Held in the beautiful Montpelier Gardens, this three-day festival showcases some fantastic local and national food and drink producers. This year’s highlights include wine tastings, food talks, and a cooking demo from Theo Randall. This annual food festival brings together some of London’s top restaurants to raise money for Soho Parish primary school. Last year they raised an incredible £49,000! 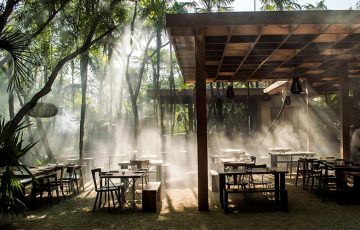 Swap your cash for tokens and try dishes from restaurants like Blacklock, Wright Brothers, Som Saa and Patty & Bun. Once you’ve eaten your fill, you can kick back and enjoy wine and cocktails, live music, cooking demos, and a raffle with some amazing foodie prizes.